At the end of 2011, it was estimated that the World-Wide Web (WWW) contained, at least, 8.12 billion pages, although this number reflects a smaller number of actual sites, estimated to be in the order of 150-200 million. Clearly, there are a lot of people and organisations who wish to tell the world about something or other. As such, the chances of coming across this specific webpage, by accident, will be very small and, in all probability, the only way that anybody will ever find this website, let alone one of the 500 odd pages within it, will be via one of the popular search engines, e.g. Google. Of course, many of the 150+ million sites will be owned by organisations with the time and money to ensure that their sites are listed at the top of any search engine rankings, while sites like this will be lost at the end of an ever increasing long index. So why develop a website that nobody will ever find or read? This refers to a class of programmable scripting that is executed on the client device under the control of the user's web browser. This type of programmed scripting is also referred to as Dynamic HTML (DHTML) as it enables web pages to invoke different options that changes the content, and its formatting, depending on the type of client-side device in use or other environmental variables. This refers to a web server technology in which a request from the client-side is verified by running a script on the web server, which then generates a dynamic web page for a specific user. It is often used to provide access to a huge amount of content that is stored in a database, which is then filtered to meet the specific requirements of a client or request. Controlled access to share data. Controlled access based on user-defined roles. Version control and data protection. Is a system of hyperlinked HTML documents accessed via the Internet. With a web browser, one can view web pages that may contain text, images, videos, and other multimedia and navigate between different pages using hyperlinks. Vannevar Bush outlined the basics of hypertext as early as 1945. However, the idea was only developed by Tim Berners-Lee and others in the 1980's and 1990's to become what is now know as simply 'The Web'. 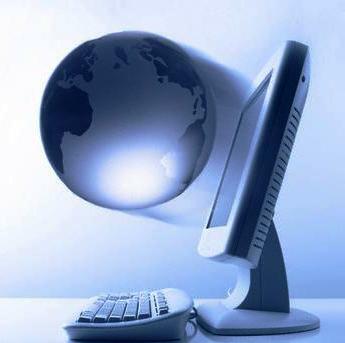 The web or WWW now consists of many languages and protocols that run over the infrastructure provided by the Internet. "The Web as I envisaged it, we have not seen it yet. The future is still so much bigger than the past." "The Internet is the first thing that humanity has built that humanity doesn't understand, the largest experiment in anarchy that we have ever had."